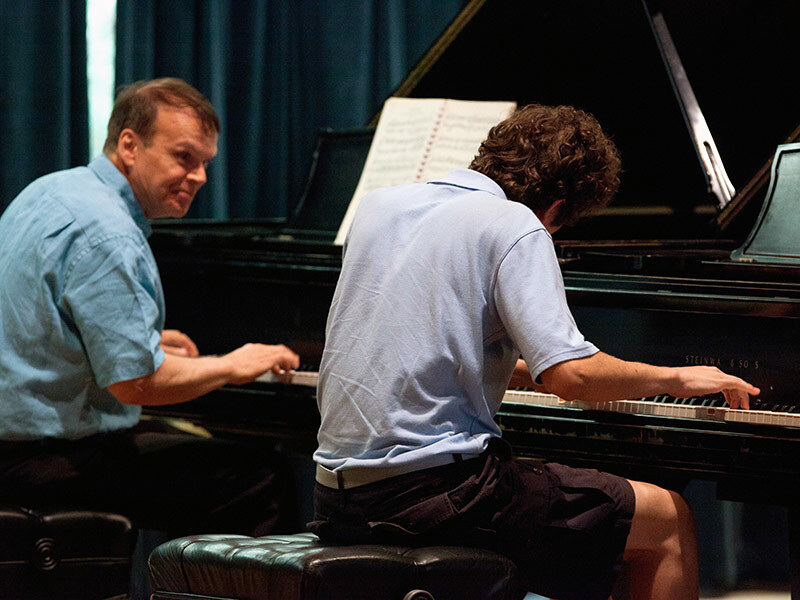 If you aspire to study piano at the college or conservatory level, our six-week piano summer program is an excellent opportunity to receive college-level instruction to help you achieve your goals. During your time here, you will focus on solo piano literature and the development of your collaborative performance skills, guided by an accomplished faculty of educators and performers. 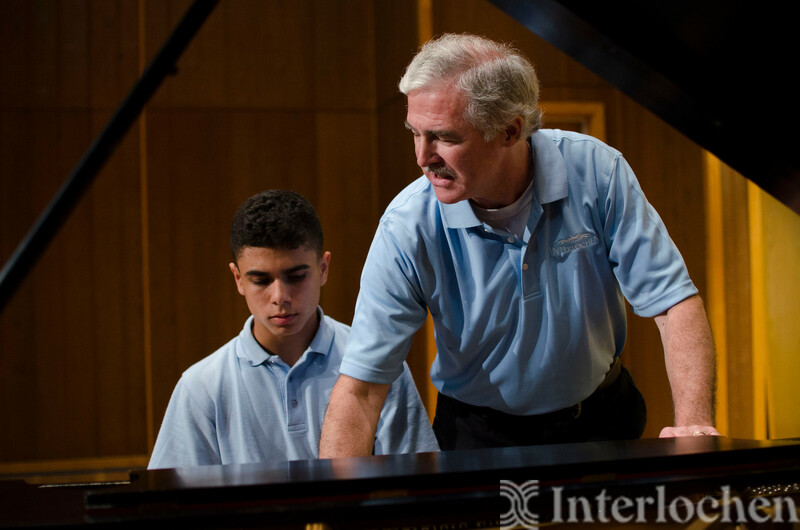 At Interlochen, you will live and learn with fellow students from around the world who share your passion for music. Expand your knowledge and improve your abilities through daily literature, studio, performance, and master classes. 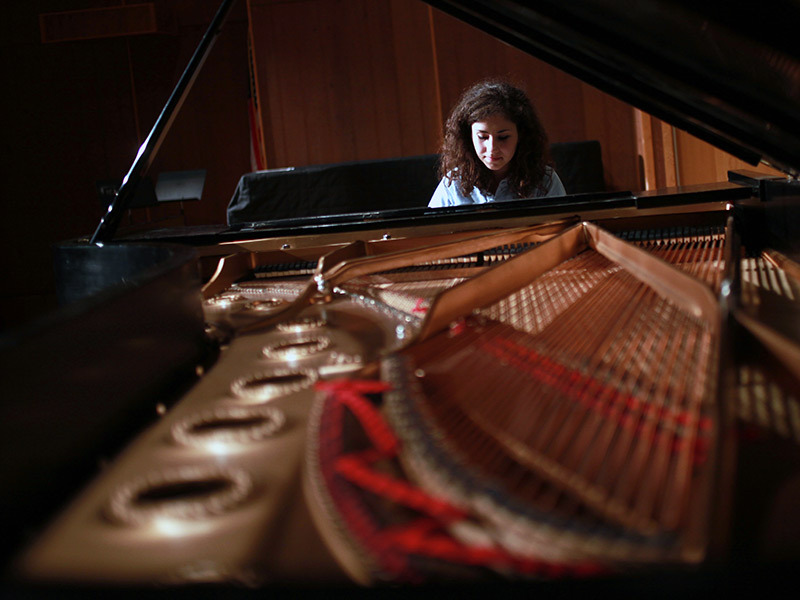 In this supportive community of artists, you'll have access to hundreds of pianos throughout campus. 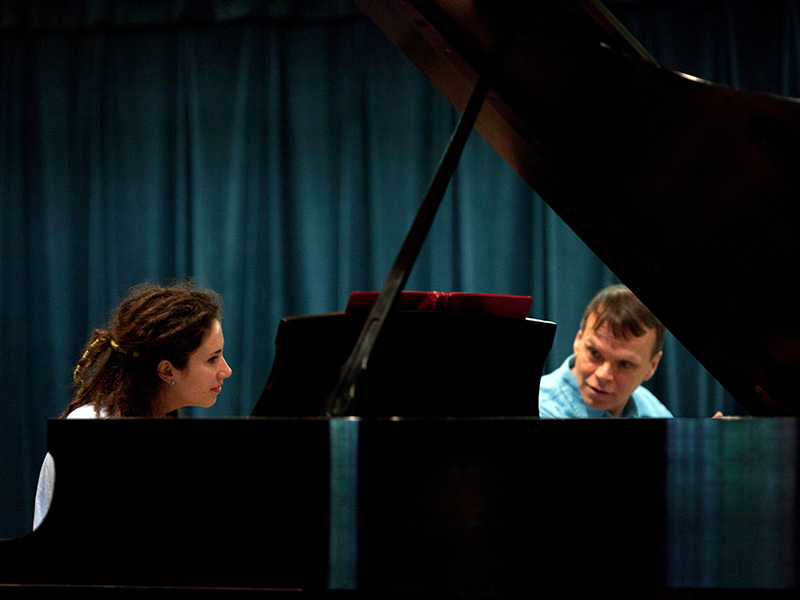 Weekly private lessons with a member of the distinguished piano faculty. 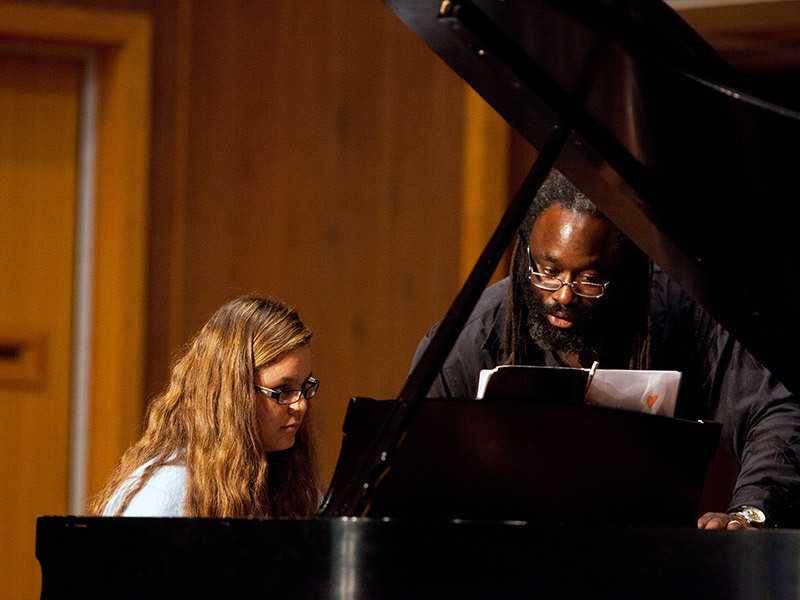 Daily classes that provide opportunities for piano majors to interact in a performance class, a group lesson, a studio class or a master class with faculty or guest artists. This class may also cover special topics such as early keyboard instruments, musician wellness, and performance anxiety. A variety of collaborative and solo performance opportunities. Collaborative experiences include chamber music with strings or winds, vocal and instrumental duos, performing as a member of a large ensemble, and a chance to develop sight-reading skills. 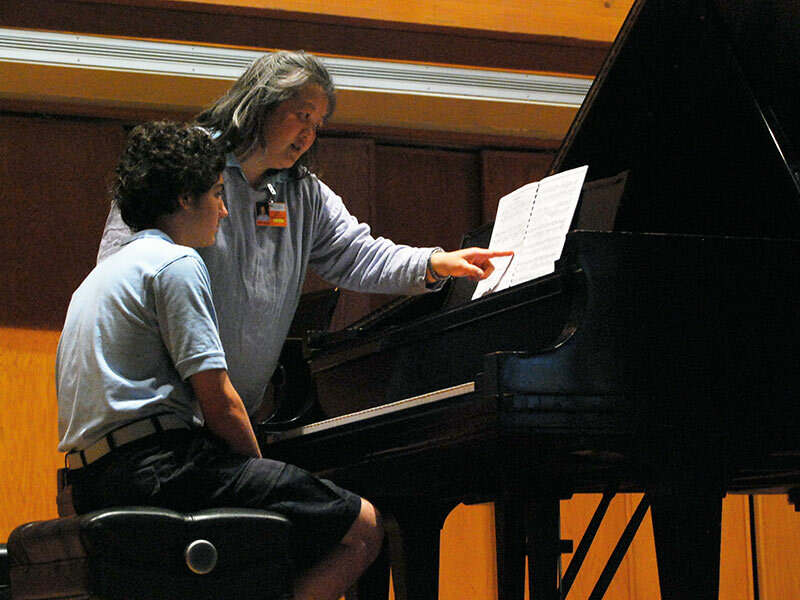 Students may optionally take organ lessons, in addition to their weekly piano private lesson. In place of collaborative piano, these students will take music theory and participate in a daily organ seminar. A required keyboard course. 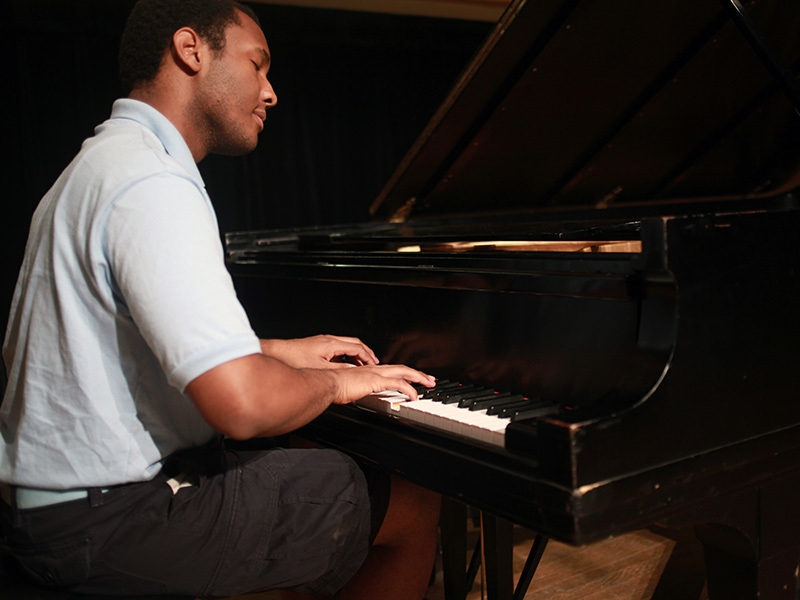 Students choose from one of the following keyboard course options to compliment their study: Piano Seminar, Beginning Organ, Beginning Jazz Piano, and Piano Pedagogy 101. 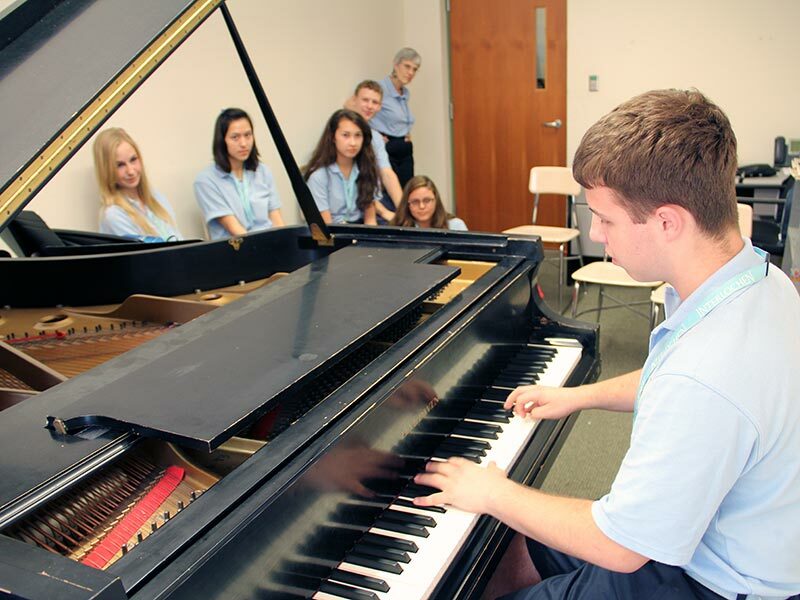 An elective class option to study another art form, or choose from a variety of classes in the music department, including choir, jazz, music literature, and more. Audio or video files #1 and #2: Choose two representative solo works of contrasting style, demonstrating tone, technical facility and interpretation. Students are welcome to attend the one-week High School Piano Institute prior to the beginning of this program. 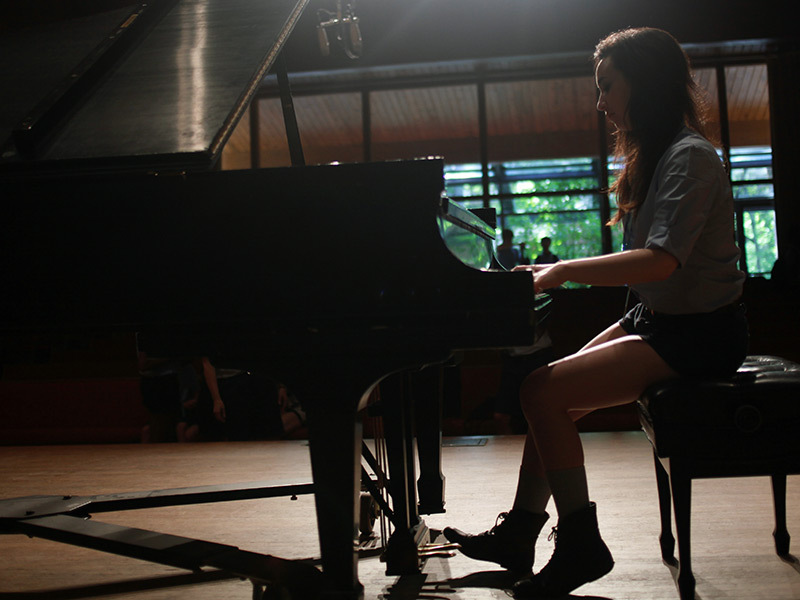 Interlochen is also home to the Arts Academy boarding high school, which offers a piano performance major for grades 9-12.